Everyone has the right to make decisions about their life. Supported decision making is a tool to assist people who may require support to make decisions. Just as support needs are different for every person and every decision, the person acting as decision supporter may also change. 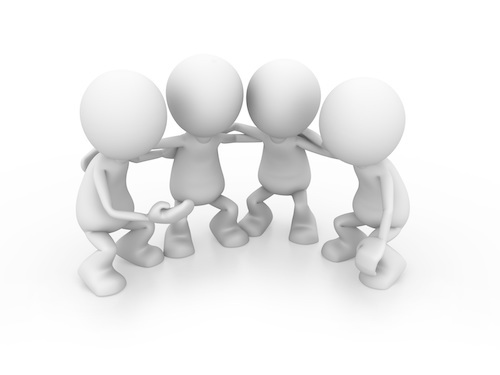 A support network is a group of people in the decision maker’s life from whom they can get decision support. Mapping this support network gives you a visual tool that can be helpful for decision makers and their supporters alike. It can help identify who might support decisions about different things. It also helps work out what kind of support might need to be found for a decision. Not all of the people in the support network will need to be involved in every decision. 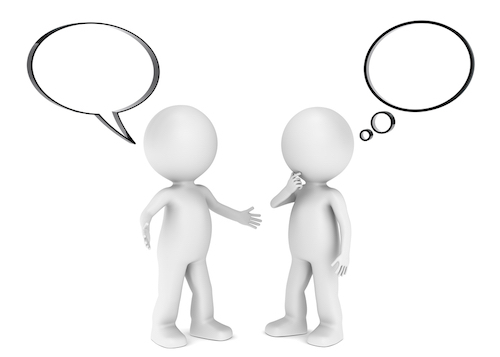 What questions can you ask the decision maker to find out what is in their support network? Who helps you make decisions? Who do you talk to about……? E.g. Who do you talk to about your health decisions? Who is affected by your decisions? Who would need to know if you decided to do something about…? E.g. Who would need to know if you decided to do something about your money? These are the kinds of people who could be called on to support a decision. Not everyone in the network will be involved in every decision. Everyone’s support network looks different and may be bigger or smaller than the example. 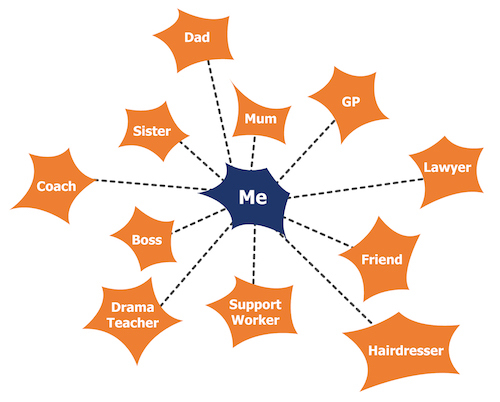 One of your jobs as a decision supporter may be to expand a person’s support network through helping to build connections between the person and others in their community. What can the support network map be used for? 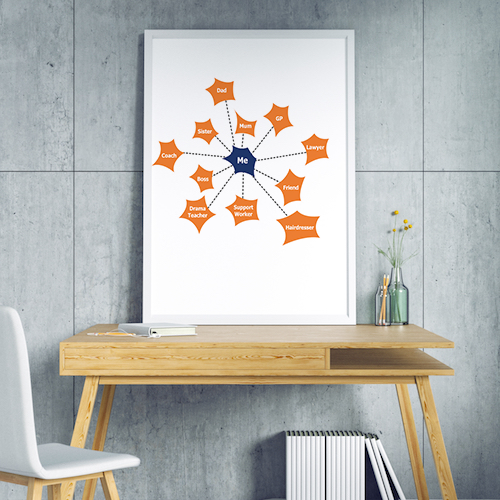 The map can be put in a noticeable place so the decision maker can remember who is in their network and what their role in their life is. It can be added to a decision support card for the decision maker.